In a state that refuses to employ the blue-pencil rule, sometimes a non-compete that is too specific can render it unenforceable. This may sound absurd, but the entire premise of the blue-pencil rule is that courts will not rewrite agreements that may suffer from overbreadth. It is relatively easy to specify too much in a geographic restriction, and that was exactly what occurred in an Arkansas dispute recently. In Wright Medical Group v. Darr, the court invalidated a non-compete that restricted an employee from engaging in a competitive business in five named northeast Arkansas counties. The problem was that the employer conducted no business in two of the counties. 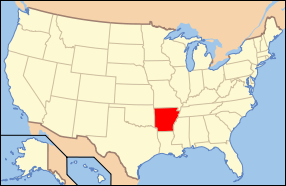 The employer tried to save the covenant by contending that its "trade area" was northeast Arkansas, and that it could not be limited on a county-wide basis. However, the non-compete did not define the geographical boundaries by a term like "trade area" or "area in which the employee had selling responsibility." Instead, it listed the five specific counties. The court actually hinted at the possibility that a more general definition - "northeast Arkansas" - would not have helped much, since "there would be no way of knowing exactly what geographic areas are and are not encompassed" by that description. In states that do not blue-pencil, any technically overbroad aspect of the non-compete can render the entire agreement invalid. It is a far preferable practice to tie the geographic restriction to something more self-executing, such as "any county in which the employee had actual sales responsibilities during the 18-month period prior to termination of employment." This type of restriction likely would avoid a finding of overbreadth on technical grounds.